Came home late, but earlier than planned tonight. Had to cancel my haircut and colouring session because I was really feeling tired and under the weather. Best decision ever to come back before Little Foot went to bed. 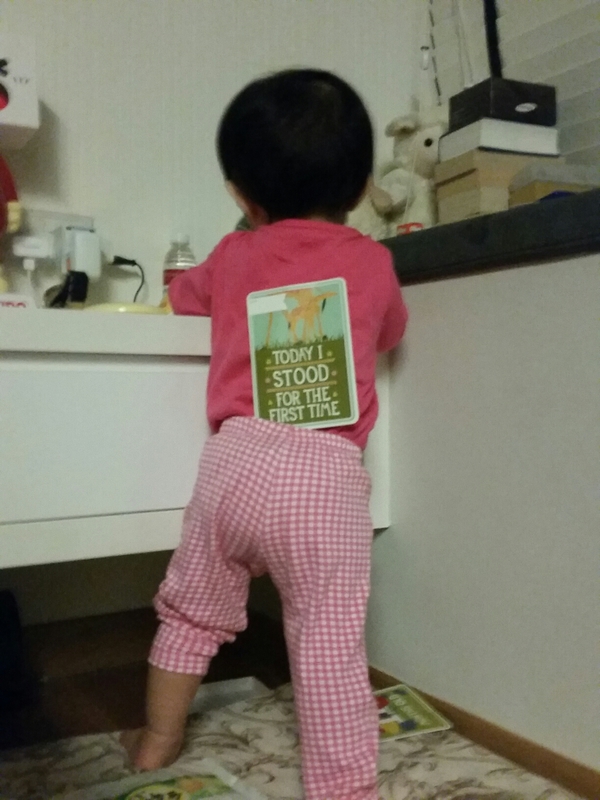 She proudly got up and stood unassisted for us to see when I was reading some books to her. Seems like she has been practicing hard. I’m so proud of her everytime she reaches a new milestone, but as the milestones cards run out, I can’t help but feel sad and a little emo. Everyday, Facebook prompts me “On this day last year” and I get reminded of how tiny and fragile she used to be. That makes me emo too. I love you so so so much …. 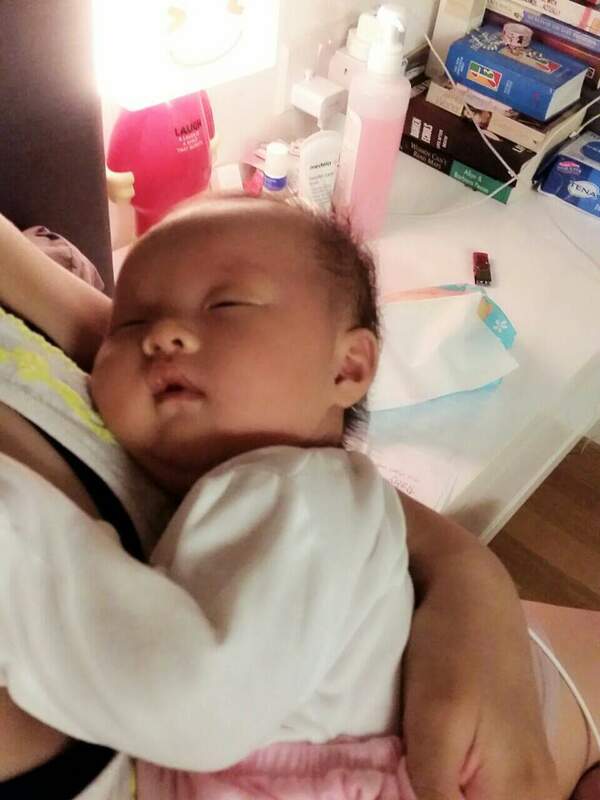 then, now, and always… stay cute at every stage ok?